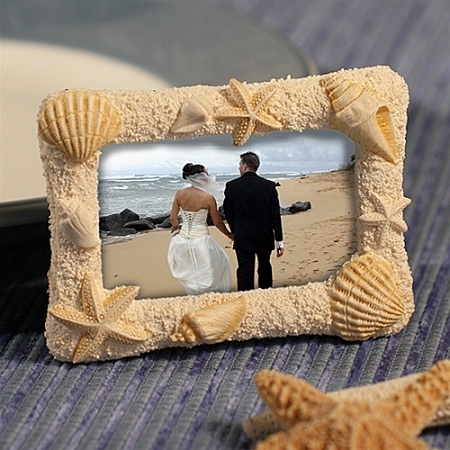 Pretty as a picture, this Beach Theme Photo Frame and Placecard Holder make picture perfect favors. 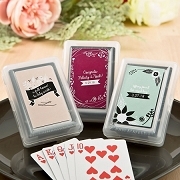 And, they’ll be even prettier when your guests take them home and insert their favorite 2" x 3" snapshot of your special day. 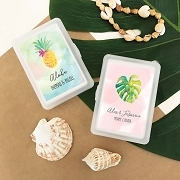 Great for any beach themed occasion or seaside event, these 2.75" x 3.5" natural colored poly resin frames feature an authentic sand like textured border adorned with a variety of realistic looking molded seashells. Useful as decorative place card holders for your event tables, each comes individually packaged in a white box with place cards included. These frames are sure to bring smiles all around. We ordered these for a Sweet Sixteen party for our daughter. She loved the frames and the quality of the item is wonderful. my only complaint is the size. I wish these were just a little bit bigger to maybe fit a wallet size photo. Other than that though, my daughter loved the favors. Thank you. I haven''t used these but they recently arrived in the mail and I love them! The frames come individually boxed so that''s a bonus. The frames are absolutely gorgeous but small as you see in the picture.